Walter Kenneth Gill was born January 7, 1936 in Bunkie, Louisiana. His parents were poor, honest hardworking people of French descent. He is the Great, Great, Great, Great grandson of King Louis XIV of France and the Great, Great Great grandson of Joseph Juneau, the explorer responsible for settling Juneau, Alaska. Kenny's French roots are long and honorable. Kenny acquired the name "Gill" because of a misunderstanding on a musical contract and continues to use it to this day. Kenny has always had two loves in his life, the guitar and flying. He built every kind of model airplane imaginable knowing that owning a real airplane was out of the question. But owning a guitar might not be out of reason, as he found out on his seventh birthday when his dad agreed to purchase an old Gibson guitar from a neighbor for $6.00, which represented half of his dad's weekly paycheck. Kenny learned to play without lessons of any kind. He learned to play very well and, by the age of 13, he was playing local radio shows once a week. At the age of 16, he tried out for the lead guitarist with a group from Nashville called "Paul Howard and The Arkansas Cottonpickers", which was God sent, as his dad was no longer able to work because of a heart problem. At this time in life, Kenny had no automobile to get to the dates with Paul Howard and no phone to communicate with Paul as well. Paul would call Kenny's neighbor who would relay a date and time for the next engagement and Kenny would be on the hi-way in Bunkie hitch-hiking to his appointed engagement, no matter how far, and get paid usually $6.00 to $8.00 for his efforts. Kenny continued to work with Paul Howard and many other bands around Louisiana. Kenny played with his friend Rod Bernard on the "Blue Room Show" over KSLO in Opelousas in the early years. Bernard asked Kenny to join the "Twisters" band and continued to work with the Twisters until he moved to Baton Rouge. Swamp Pop legend Rod Bernard said, "I've just always thought Kenny was the most versatile, most professional, most polished guitarist I've ever met and I've met a lot of them." In 1960, after moving to Baton Rouge, Kenny quickly organized "The Kenny Gill Trio" and played many dates until he decided to move to Nashville, Tennessee, where he worked with many of the "Grand Ole Opry" acts and did many recording sessions with different stars. After two years in Nashville Kenny moved back to Baton Rouge and opened a small music store in 1965 on Government Street that did very well for many years. In 1972, Kenny joined up with his mentor, Governor Jimmy Davis, and became his guitarist and confidant for over 25 years. Gill's abilities as a guitarist is wide and varied and he is able to perform any style whether it be country, jazz, R & B gospel or western swing. Kenny retired in 1990 as president of five corporations in two cites. He continued to perform around the south but was getting bored and wanted to return to Nashville. So in 1998, he and his wife, Jeanene, sold their home in Baton Rouge along with all the businesses and moved to Mt. Juliet, Tennessee right outside Nashville where he is busy writing, producing, playing concerts and teaching. Kenny has three sons and two daughters. 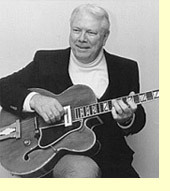 He was inducted into "The Louisiana Music Hall of Fame" in 1997 and into the Rockabilly Hall of Fame" in 2001.